I just saw the trailer today for the second half of the season. It looks really good. They've released a load lately. Another one came out about two days ago. They are promoting the hell out of it. I can't wait!! S3 returned this week with record breaking figures! That's crazy good. I have to say, I haven't been so keen on the second half of this season. But this latest episode was awesome. It was great to have some more dialogue from Michonne, and she proved excellent comedy value. It also made me realise that I don't really like the Governor or Woodbury. Hopefully that storyline gets concluded in the finale and doesn't drag through to next season (although I'm sure it won't!). It was so nice to have an episode not there. It was very minimalistic, and I thought it was great. The second half of the season was good, but I think some of the changes from the comics were a change too far. I like that they diverge because it keeps me on my toes and I'm not always certain what happens next, but they watered down the Governer to the point where he was like a Disney villain instead of the insane psychopath of the comics. Michonne was badass, but nowhere near as badass as the books. Tyrese came in and they treated him like an extra, but he is a very important main character in the comics so I hope that gets sorted for the next series. The stuff between Michonne and the Governer was heavily changed, which I do sort of understand, but it makes their intense hatred of each other make a lot less sense. And as for that death in the final episode! Not happy with that at all! I agree about the watering down, but I still think they were great characters. And with the Governer coming back they might still cover some of the comic stuff. The new showrunner says he wants to be more faithful to them so perhaps we will see more of the stuff they've missed out on too. I can't say I'm thrilled with the Governor returning for another season! I wasn't a fan of the character so I'm sad to see next season will be focussed on him again. 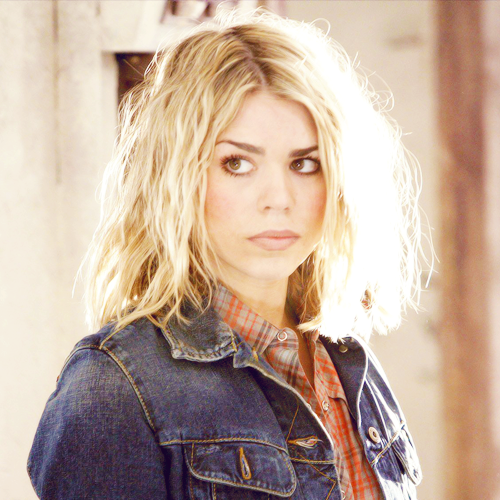 And I know a lot of people hated the-one-who-died-in-the-final, but I quite liked her and was sad to see her go. I've read that he will only be in the first half of the season up until the split. Don't know if it's true but if it is it might make it more bearable for you. I couldn't believe she died. She did my head in a bit in S3 by being so blind and stupid but overall I really liked the character. From what I have read in interviews, it was a last minute decision. It looks like they filmed the ending which was similar but with her surviving and then after they wrapped up they decided it wasn't working, so called them back for reshoots and killed her off instead. Way to lose your job! I read that a while ago on Daily Dead. They had an interview with her and she didn't seemed too impressed about it all. I think they shouldn't have done it, personally. She was annoying with the governor, but overall a strong female character which the show quite needed. Lori was an awful whiner, and although Carol has become stronger she isn't '****'. Michonne is good, but very different. Maybe now she'll have more time to shine. Carol might have a degree of safety with her character now that she is the only female left from the beginning. I like her a lot and I'm glad she is getting more prominance, especially given how awful she is in the comics. Honestly, if you don't read the comics, read her character bio on wiki for the comic. She really is terrible. I did get a little way into the comics, but then didn't go back to them for a while. No time I guess. I'd like to read them though and see the different stories. I hear Andrea was a lot better. If you don't mind comic spoilers (the show has diverged so much I don't think it will affect your viewing) then I can breifly fill you in on both. They announced a spinoff yesterday that will be set elsewhere with a different group of survivors and not follow the comics. I can't wait. There's been rumours that it will be set in the UK but I don't see it personally. Will probably end up in New York or somewhere random in the US. I'm looking forward to it! So excited to see what the writers will do with fresh characters. And I love that this is a world you can easily have a spin-off of. I didn't get past the first episode of the spinoff, and I wasn't really paying much mind to that. I need to sit and do it properly. I still very much love the main show but it's lacking something at the moment. Even with more recent episodes seeming to up the violence and horror, it seems to have lost it's element of threat. They need to bring that back a bit I think.